Using a small clip out of a very long video segment the media has managed not only to make a "fake news" narrative go viral, but as a result has also managed to endanger the lives of a group of teenagers. 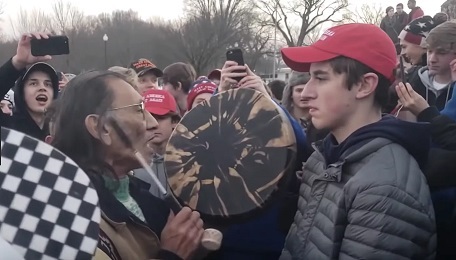 There are dozens and dozens more examples showing the same narrative, but the problem is there are also many more clips which show conclusively, the Catholic high school students did not "surround" Nathan Phillips, the elderly Native American man, but rather the man and his group approached the teens. The teens also did not mock the group. In fact it was Phillips that got into a teenager's face with his drum, beating it just inches from the kid. There is no way that every single establishment media outlet and source missed the other videos before publishing the exact same narrative, they simply cannot be that incompetent. We already know that more than 400 journolists belong to a group where they "discuss" aka collude on narratives and stories. 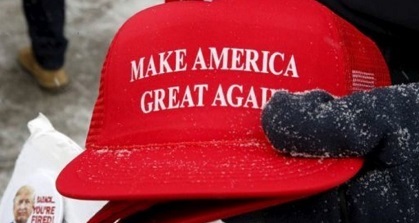 Now, based on the MSM's coordinated disinfo campaign about the MAGA hat kids and Mr. Phillips, chairman of the House Budget Committee, Kentucky Democrat John Yarmuth is calling for a ban of teenagers being allowed to wear MAGA hats. Yes, a sitting congressman tweeted "I am calling for a total and complete shutdown of teenagers wearing MAGA hats until we can figure out what is going on. They seem to be poisoning young minds. [1/2] - The conduct we saw in this video is beyond appalling, but it didn’t happen in a vacuum. This is a direct result of the racist hatred displayed daily by the President of the United States who, sadly, some mistake for a role model. [2/2]. 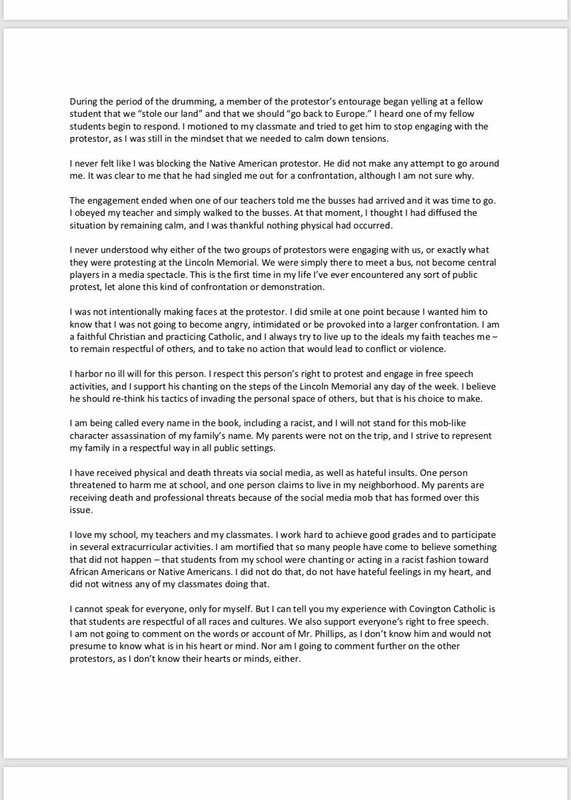 The Mayor of Covington, Kentucky, Joe Meyer, within hours of the first reports, while the false narrative was still being pushed, then made a statement condemning the actions of the teenagers., saying he was "appalled." 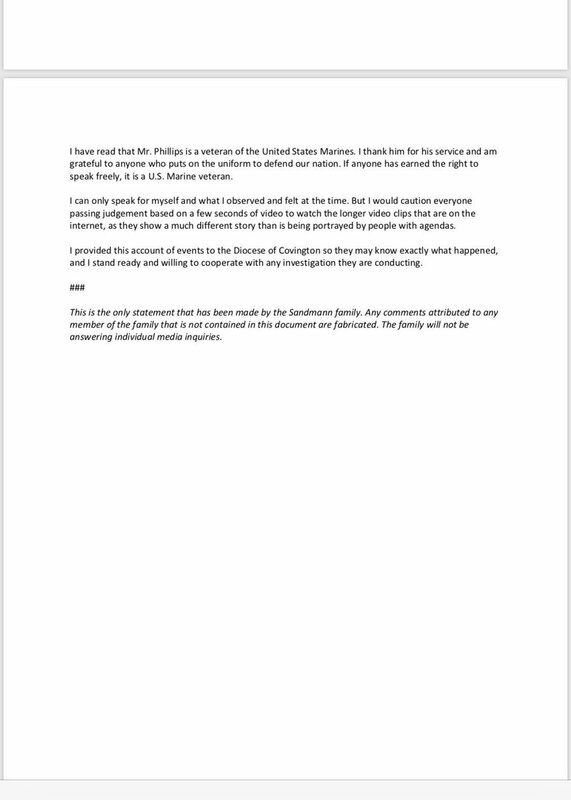 Also based on the initial short clip and the media's coordinated attack against the MAGA teenagers, which we now know is inaccurate, the Diocese of Covington and Covington Catholic High School issued a joint statement promising to launch an investigation into the teenagers actions. CNN host Reza Aslan took to Twitter to ask a question about the Catholic, pro-life student wearing the MAGA hat that was seen smiling at the Native America, asking "Honest question. Have you ever seen a more punchable face than this kid’s?" Disgraced comedian Kathy Griffin asked her followers to help her reveal the identities of the teenagers at the event and to harass them. She tweeted "Names please. And stories from people who can identify them and vouch for their identity. Thank you." 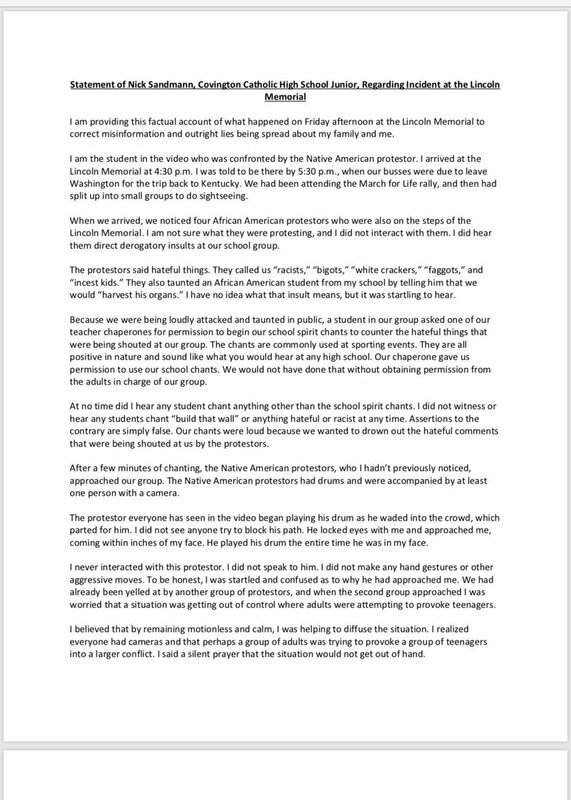 Related: "Catholic Pro-Life Children Now In Fear For Their Lives After Being Doxxed By Far Left Media" and "Brother of falsely accused Covington Catholic HS student says family is receiving threats, business trashed online." New York Times Reporter Maggie Haberman tweeted to her one million followers "There are dozens of students laughing and egging on the behavior. Will be interesting to see if anyone is actually expelled, as officials suggest is possible." To which trial lawyer Robert Barnes, who obviously watched more than the media did of the available footage, responded "I will represent the kids for free if they want to sue @maggieNYT for obvious libel." Barnes also went after USA Today for promoting the false narrative, telling them "This is libel." In response to Barnes offer, Per Diem Services, which provides services for law firms in New York and New Jersey, offered their help as well, stating "Good show! I am happy to help too on a pro-bono basis!" Republican Representative Thomas Massie reserved judgement until he could delve deeper than the the media's coordinated messaging, then issued a series of tweeted statements in support of the Covington students. "I was uncomfortable when I saw the video & description that first went viral, so I understand the initial reactions to the CovCath video," Massie tweeted. "I chose to wait for more facts before responding because the narrative did not match what I know to be the character of these students." "I’ve now watched over an hour of other videos from 4 different cameras of the incident in front of the Lincoln Memorial," Massie wrote. "I urge everyone to watch the other videos before passing judgement. Would you have remained that composed at that age under those circumstances?" "In the face of racist and homosexual slurs, the young boys refused to reciprocate or disrespect anyone," Massie wrote. "Even when taunted by homophobic bigots, which was obviously bewildering to them, they insulted no one." "In the context of everything that was going on (which the media hasn’t shown) the parents and mentors of these boys should be proud, not ashamed, of their kids’ behavior," Massie concluded. "It is my honor to represent them." After having his name publicly revealed, the student which was most prominently featured in the initial misleading clip that went viral issued a statement describing what happened. Screen shots of the three page statement found here, here and here. Comparing that statement to the full nearly two hour long video of the event, shown below, shows the media failed spectacularly, once again. 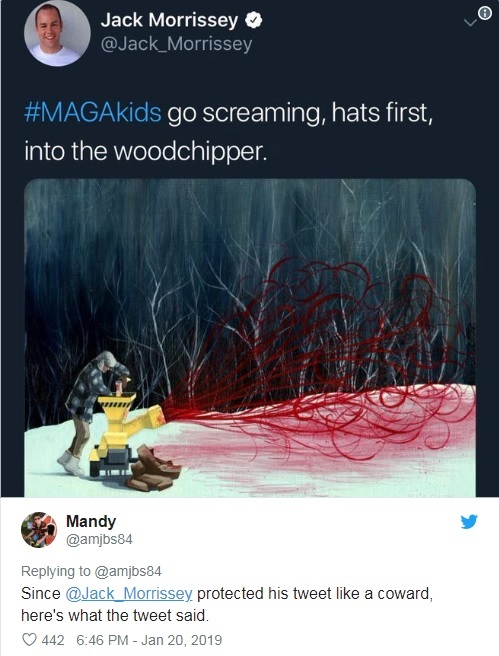 In my opinion, the media took one look at the image of the teenager in MAGA hat and their Trump Derangement Syndrome kicked in and they deliberately set out to destroy a bunch of Catholic, pro-life school children, all because the establishment media is full of hate and vitriol. Maybe we should all be wearing MAGA hats. Via a Reason report: Phillips enters the picture around the 1:12 mark, but if you skip to that part, you miss an hour of the Black Hebrew Israelites hurling obscenities at the students. They call them crackers, faggots, and pedophiles. At the 1:20 mark (which comes after the Phillips incident) they call one of the few black students the n-word and tell him that his friends are going to murder him and steal his organs. At the 1:25 mark, they complain that "you give faggots right," which prompted booing from the students. Throughout the video they threaten the kids with violence, and attempt to goad them into attacking first. The students resisted these taunts admirably: They laughed at the hecklers, and they perform a few of their school's sports cheers. Full video of the entire event below.